Center stream is 30 feet high. Side jets' angled spray pattern is 25 feet in diameter. 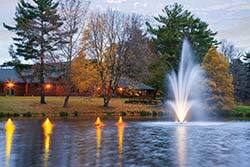 Home > Pond Fountains > The Amherst Fountain - NEW! The newest fountain in the Scott Aerator line is The Amherst Fountain, a gorgeous 3 hp model! 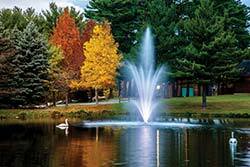 The Amherst Fountain adds beauty to your water feature while contributing to a healthy aquatic environment through oxygen transfer and water circulation. The classic, stately pattern of The Amherst Fountain provides a very distinct separation of all three tiers, capped by an impressive column reaching heights of over 30 feet. 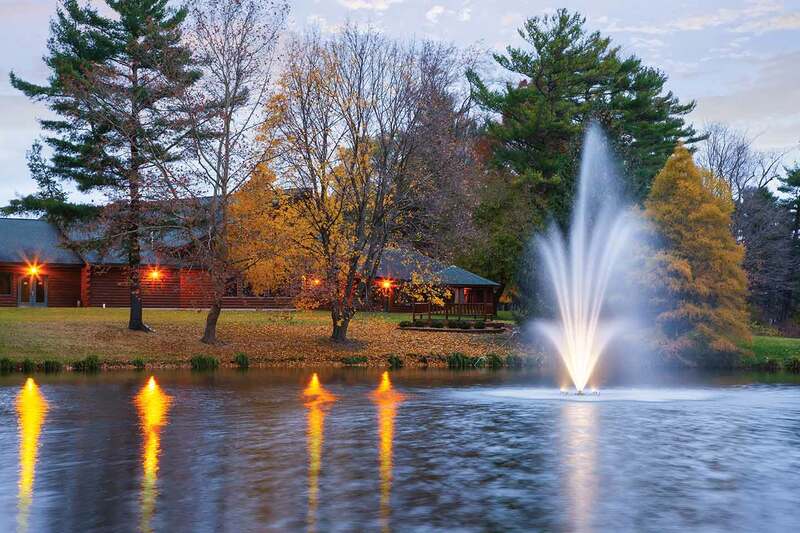 The 170 gallons-per-minute flow rate creates a pleasing ripple effect across the water’s surface. 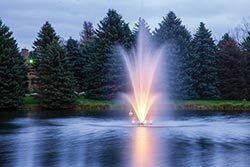 Like all of the products Scott Aerator manufactures, The Amherst Fountain utilizes a stainless steel, oil-free submersible motor, making Scott Aerator fountains the most environmentally friendly ones on the market. 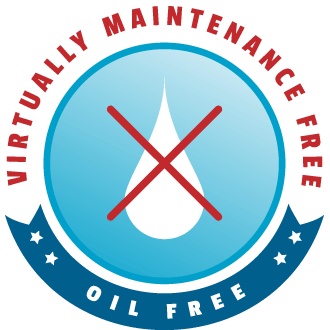 The Amherst Fountain is proudly manufactured in the USA and carries an unconditional, 5-year motor warranty. Also available with lights.